Waltham Commercial Electricians | Commercial Electrical Contractors in Waltham, MA | Norman E. Kenney & Co, Inc. Welcome to Norman E. Kenney & Co, Inc.! We are local family owned Waltham commercial electricians serving customers right here in the Greater Boston Area since 1963. Our owner, Norm Kenney, is dedicated to helping you with all your commercial electrical needs, assisting you with honesty, quality and affordable prices. We are here to help you, the business owner, through every step of your electrical project by taking away your stress and making it an enjoyable and easy process for you. Norm Kenney features electrical services ranging from tenant improvements, LED lighting, lighting analysis, facility upgrades, design lighting, design build, remodels, recessed lighting, new construction, retrofits, parking lot lighting, and much more. Norm Kenney is a full-service Waltham commercial electrician with countless years of experience all over Massachusetts. We have mastered the art of completing business projects efficiently while thoroughly minimizing disruption and inconveniences that normally accompany having electrical services done. 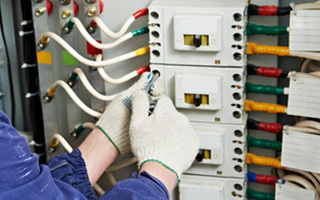 We are experienced and qualified electricians ready to tackle any job. Give us a call today and see what Norm Kenney can do for you! As a locally owned and family operated Waltham based business, every one of our Greater Boston Area customers is extremely valued. It is our goal to earn your trust and keep your business for years to come. Give us a call at 781-894-7184 and provide our local commercial electricians with your contact information and tell us more about your upcoming commercial electrical project. We look forward to working with you! 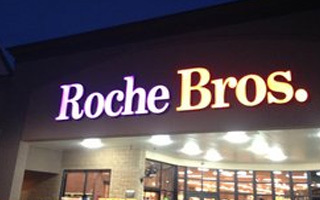 If you are looking for reliable and professional Waltham Commercial Electricians then please call 781-894-7184. Norman E. Kenney & Co, Inc.